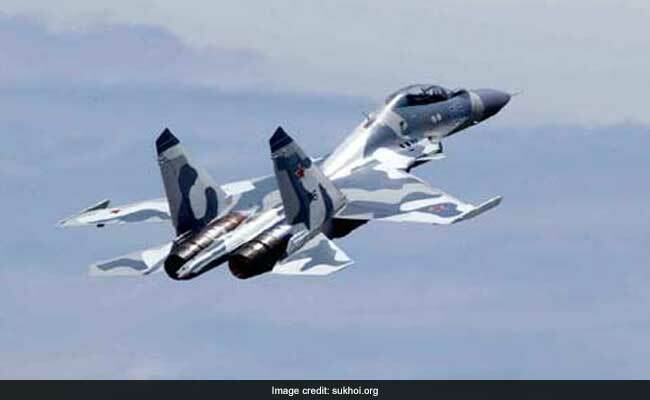 Russian media quoted the defense ministry as saying that the Russian Su-27 was "dispatched to intercept the target" and "approached the aircraft staying at a safe distance. A Russian fighter jet intercepted a U.S. B-52 bomber over the Baltic Sea, the Russian Defense Ministry told Russian media outlets Tuesday. Russian media quoted the ministry as saying that the Russian Su-27 was "dispatched to intercept the target" and "approached the aircraft staying at a safe distance, identified it as a U.S. strategic bomber B-52 and escorted it for some time." The B-52, according to the ministry, was over international waters and flying near "Russia's state borders." A spokesman for the U.S. European Command did not respond to request for comment. Several B-52s, along with a contingent of maintenance troops arrived in the United Kingdom in recent days to participate in a series of NATO exercises happening this summer. Sabre Strike, one of the multinational exercises, began last month and will take place in Poland, Latvia and Lithuania during the coming weeks. B-52 bombers first entered service in the 1950s and will fly long into the 21st century as the workhorse of the Air Force's bomber fleet. The hulking eight-engine aircraft are capable of holding 70,000 pounds of munitions and have been upgraded in past decades to drop everything from sea mines to nuclear-tipped cruise missiles. A detachment of the planes are currently participating in the air war against the Islamic State in Iraq and Syria. Last month, a Russian aircraft came within 20 feet of a U.S. surveillance plane over the Baltic Sea in an incident the Pentagon called "routine." Additionally, U.S. aircraft intercepted a number of Russian bombers near the coast of Alaska in May. NATO jets intercepted Russian aircraft more than 100 times near the Baltic States in 2016, according to data provided by the Lithuania Defense Ministry to a regional news agency. After Russia annexed Crimea and sent troops into eastern Ukraine in 2014, the number of NATO intercepts peaked at 160 in 2015. Russian Fighter Intercepts US Aircraft; Pentagon Says Came "Very Close"